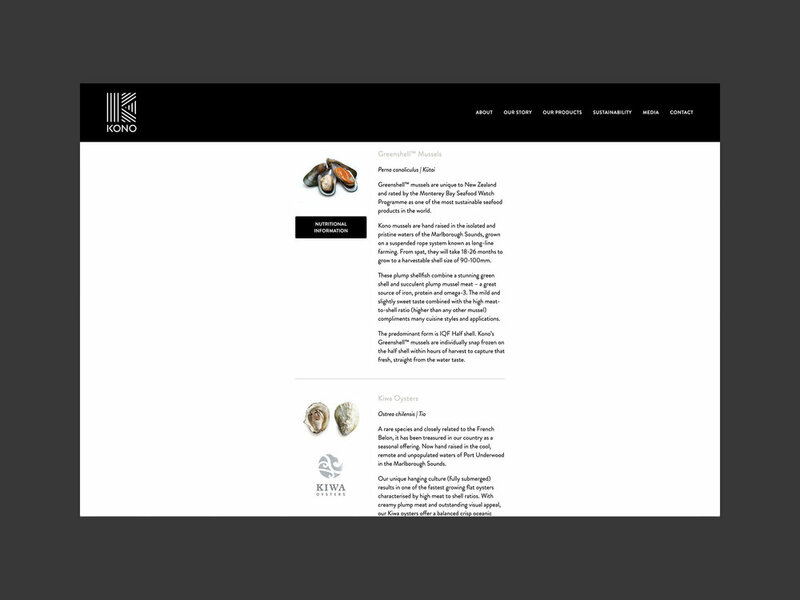 Kono NZ is located in Te Tau Ihu, the top of the South Island of Aotearoa New Zealand. 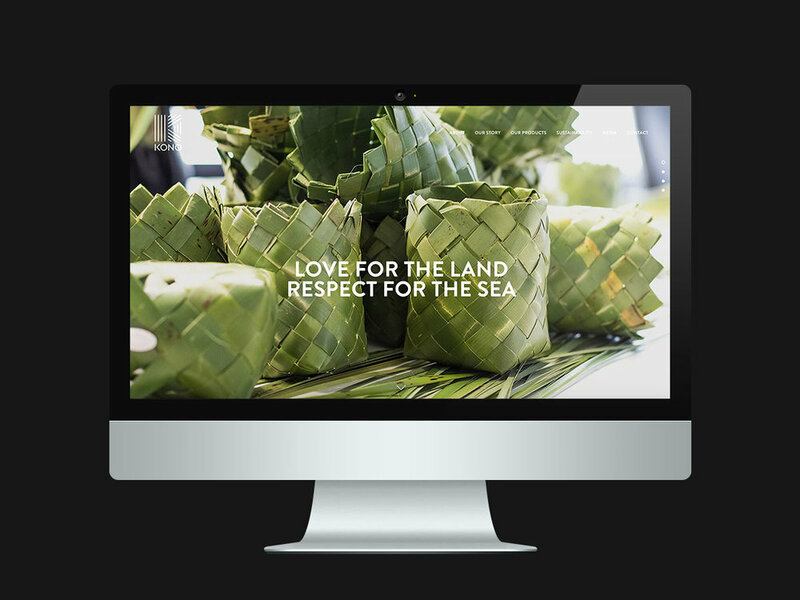 Kono's products flow from their culture. They are produced by people with integrity and passion; they are created only from natural, wholesome ingredients from the earth and the seas; and they come from places which they know and you can identify. 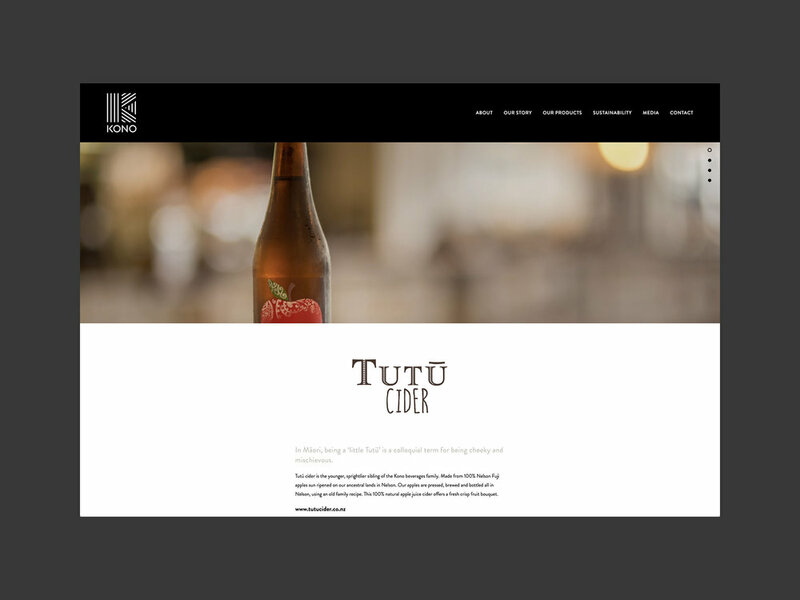 We worked closely with the team at Kono to create a website that not only showcases its brands and products, but that also helps tell its story in a rich and engaging way. The Squarespace platform is ideal for a website of this nature.